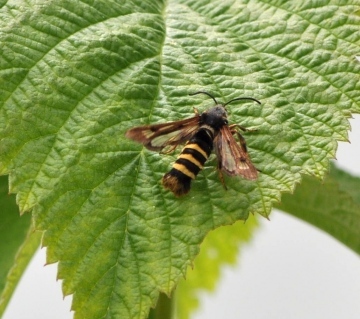 I have discovered Raspberry Clearwing Moths in my garden, i noticed a female first ,then using a pheremone i caught a male straight away. (really chuffed ! ).